Colored Concrete Cost - How Much Does Colored and Decorative Concrete Cost? Colored concrete cost can cover a wide variety of concrete applications. As a concrete flooring contractor for over 30 years, I get asked that question a lot. I'll keep it simple here and just tell you what you can expect to pay to just color a concrete floor. Below, I'll list a few colored concrete flooring applications that I do and what each application cost per square foot. 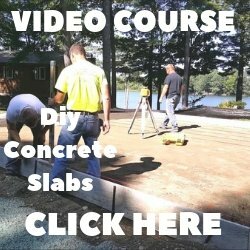 This will be just a general guide to help you figure out what the cost of colored concrete might cost in your area. I do estimates for colored concrete a lot and each job is unique and different in its own way depending on what the customer wants. No two projects are exactly alike, which means the cost of each project is also unique depending on what materials, labor and application is chosen. 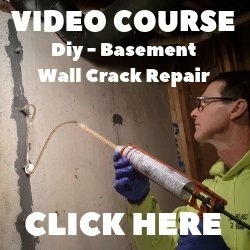 What is the cost of colored concrete? A basic 4" thick concrete floor cost about $3.00 dollars per square foot to have installed. That includes the concrete, fibermesh, labor to place the concrete, labor to power trowel finish the concrete, sawed contraction joints, and curing or sealing the concrete. Some things that may add to that cost are: site and sub-base preparation, site access, small floors under 500 sq. ft., and thicker concrete. Integral colored concrete floor cost: $3.75 dollars per square foot, that includes the basic concrete floor package and adding color to the concrete. Two ways we add integral color to the concrete are with powdered color that comes in a bag or liquid color. Each one is added right to the concrete in the concrete truck, mixed for about 5 minutes and the gray concrete is now the color you chose. Shake on color hardener concrete cost: $4.50 dollars per square foot, that includes the basic floor package and a shake-on color hardener. Shake-on color is color that is broadcast onto the surface of a concrete floor and floated into the surface to give it color. The color ends up being "worked into" the top 1/8 to 1/4 inch of the concrete floor. This application offers a wide spectrum of colors but is messy and very labor intense. Those are the two basic ways to color the concrete while it is still "wet" or before it hardens. There are other ways to color the concrete with concrete stains, dyes, and epoxies. I'll cover them on another page called decorative concrete costs. How to choose the right colored concrete floor contractor. one chance to do colored concrete right, if the contractor runs into some challenges (expect some) and doesn't know how to handle them, your colored concrete can come out looking less than perfect. Go check out a couple of their past projects. If the owners are happy and the job looks good to you, you've probably found a good colored concrete contractor.